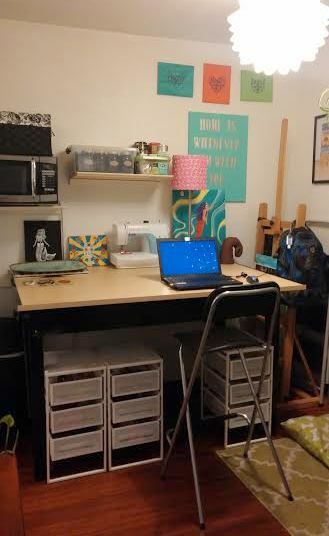 Read our first post workspace post here: Viva La DIY Workspace :: PART I. Having a functional work space is something that is extremely important to me. So when I finally decided to claim one corner of our apartment as my creative space, I realized I would have to keep it well organized. Needless to say, previously, it was highly unorganized. Like most creative types, I needed to accomplish this with a budget so we went to IKEA. 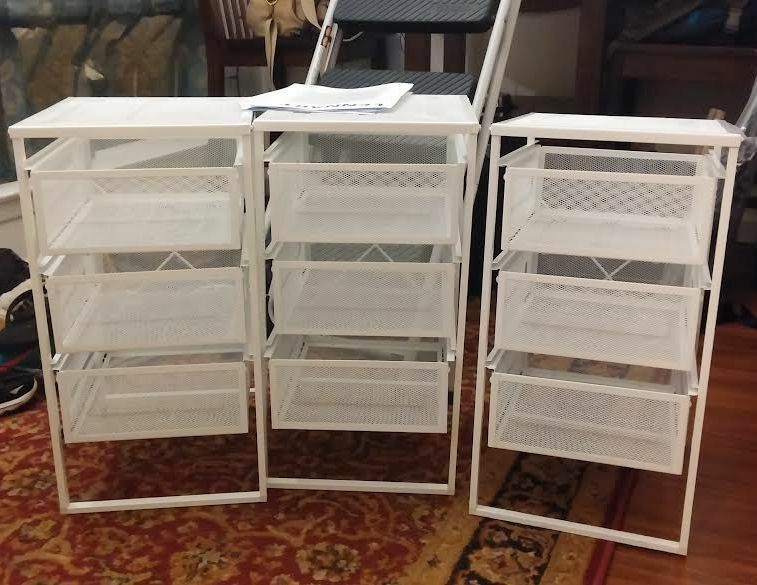 I found these nifty drawer sets that would fit underneath my work table and sturdy enough to not be destroyed by my cats. I also found drawer dividers that could be used to organize my smaller craft items. I put these sets together myself relatively quickly and easily. 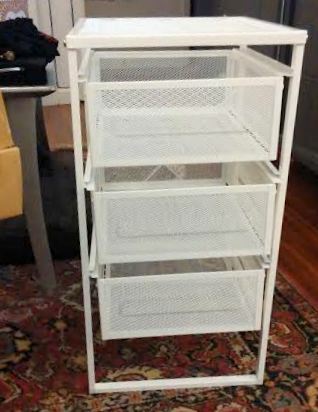 IKEA makes it pretty easy when you do read the instructions. Once I had finished the building of said drawer sets, I realized that the drawer dividers would not fit into the drawers. I however, was not going to let that stop me from getting my craft supplies in order. I decided to pull out my husband’s Dremel tool, and cut them down to fit. I then glued them together with E6000, and used washi tape to cover up the glue lines and differentiate between which drawer set each divider would be used for. I had to purge some of my excess craft supplies, I went through what was on top of my work table, and my craft closet and kept only what was essential. The supplies I was getting rid of were donated to Mission Arlington; (a local charity in Arlington who have a free store for those in need.) Once I weeded through my craft supplies, I organized my drawers like this: one for sewing supplies, one for drawing/art supplies, and one for extra craft supplies; glitter, glue, staples, etc. 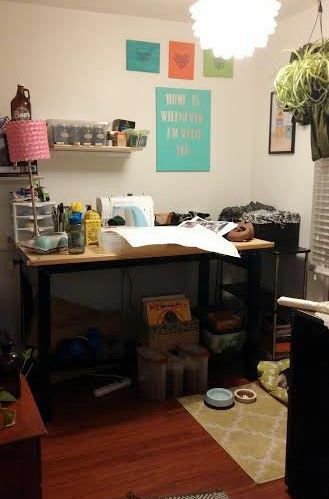 My final step in the process was to organize the top of my craft table. I organized it according to which projects I was working on, and how easily I could access certain things like my computer, and sewing machine. And voila! I was finished. 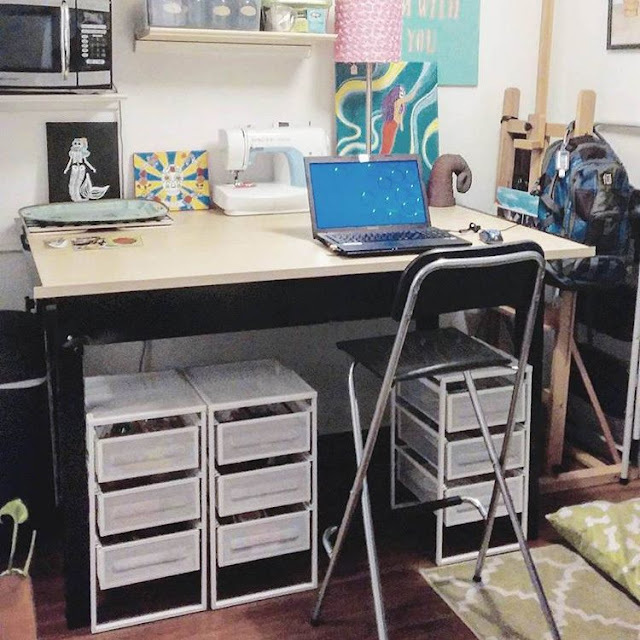 I really love how This turned out and it’s been really helpful in keeping things clean and organized. I might need to go back and pick up another drawer set eventually, but what I have works great for now.